BY RENAISSANCE FESTIVAL PODCAST The Renaissance Festival Podcast is a twice-monthly show of music and entertainment found at Renaissance Festivals. http://renaissancefestivalmusic.com NOTES * Helping you celebrate Celtic culture through music. My name is Marc Gunn. I am a Celtic and Geek musician and podcaster. This podcast is dedicated to indie Celtic music. I want to ask you to help these artists. Share the show with your friends. 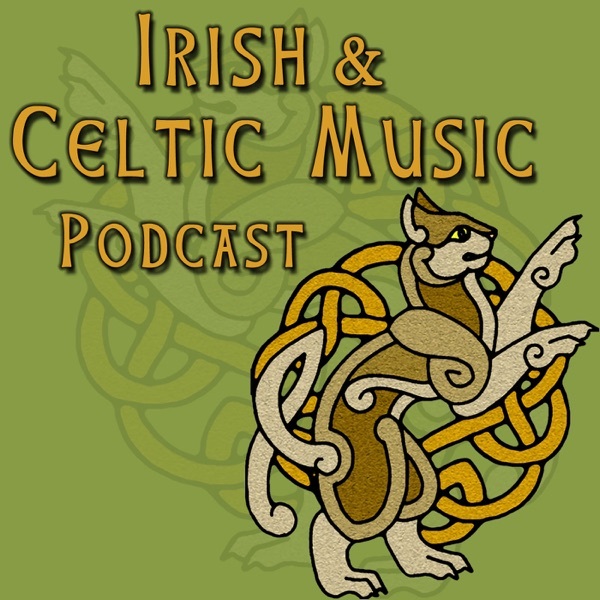 You can find more episodes at celticmusicpodcast.com. And you can support for this show on Patreon. * I WANT YOUR FEEDBACK: What are you doing today while listening to the podcast? You can send a written comment along with a picture of what you're doing while listening. Email a voicemail message to celticpodcast@gmail.com THIS WEEK IN CELTIC MUSIC "Red is the Rose" by Abby Green from Why Should I "What Thing is Love!" by Craig of Farrington from Naughty "Lagan Love" by Darcy Nair from I Fell My Heart Fly "Cavan Girl" by Darren Raleigh from Silverwheel "Mourning Dove" by Emily Kellam from Waves on the Shore "Until Death Does its Part" by Ceann from Making Friends "Black Is the Color" by Jesse Linder from Crescent Moon "Broom of the Cowdenknows" by The Jolly Rogues from The Jolly Rogues "Name on My Soul" by Kilted Kings from Kilted Kings "Take You with Me" by Lindsay Smith from Beautiful Life "The True Lover's Farewell" by The Merry Wives of Windsor from Here's to the Men "I Never Will Marry" by Shillelagh Law from Songs From the Bridge "Will Ye Go, Lassie" by Tullamore from Wild And Wicked Youth "When Will We Be Married" by 3 Pints Gone from Auld Lang Syne VOTE IN THE CELTIC TOP 20. It's easier than ever to do. Just list the show number, and the name of one or two bands. That's it. You can vote once for each episode help me create next year's Best Celtic music of 2017 episode. http://bestcelticmusic.net/vote/ The Irish & Celtic Music Podcast was produced by Marc Gunn, The Celtfather. To subscribe, go to iTunes or to our website where you can become a Patron of the Podcast for as little as $1 per episode. Promote Celtic culture through music at http://celticmusicpodcast.com.